I watched an interesting interview on CBC yesterday with Ariel Dorfman, a Chilean author and left-wing activist that documented Pinochet’s rise to power. This post, however, is not an analysis of that history or an opinion on that period. Rather, I wanted to point out an inconsistency of the CBC and its use of the word “terror”. Stewart describes the “Pinochet terror” as a “homicidal terror”. Of course, CBC has struggled with its designation of events as “terror” (here the root of the word “terrorism”), most notably with its labeling of “militancy” or “insurgence” when referring to jihadism either against the American forces in Iraq, cafe patrons in Jaffa or club patrons in Bali, or the innocents in the World Trade Centre and Pentagon on 9/11/2001. The guiding principle should be that we don’t judge specific acts as “terrorism” or people as “terrorists.” Such labels must be attributed. As a dispassionate observer and journalist following CBC’s policy, maybe Stewart should have refrained from labeling Pinochet’s regime, or the CBC should not be so selective in its application of the word terror to events or viewers may see a subjective policy at the state-run broadcaster. Ariel Dorfman, who did make for an interesting interview, did draw a direct parallel between the “terror” of Pinochet’s coup on 9/11/1973 and the WTC and Pentagon attacks on 9/11/2001. However, he is the invited guest and not subject to the editorial direction of the CBC. Perhaps it is a distrust of the United States that causes this inconsistency of the use of the word terror by journalists and editors at the CBC. After all, it was the United States who helped in Pinochet’s rise to power (according to Kissinger). Yet, when Islamic terror strikes the US or Israel, the CBC is “careful” to label it an “attack”. Is it caution in not using a politically loaded word with respect to current events or is it a form of Western guilt that stems from a view held on the left that the current perpetrators of “terror” militancy are acting out as victims of American “imperialism”? So now, why use “terror” to describe Pinochet instead of “militancy”? There ought to be a consistency in describing both. However, America was on different sides of both events. Could this explain the inconsistency in labeling “terror”? Consider this clip which describes optimism regarding the evolution of the left and the quick correction by Stewart on the word neo-liberal, which is called “neo-conservative up here”. What are CBC’s views with respect to neo-liberalism “neo-conservatism” (for our viewers at home keeping score)? The word neo-conservatism is thrown around a lot these days to describe “privatization” agendas, “imperialism” and nation-building, or even to describe a program where the government hands out $100 monthly cheques to parents to raise their children! Language can affect our perceptions of people, political platforms and events, especially when it comes filtered through the media, especially when the words used are both subjective and selective. Therefore I ask, is the word “terror” similarly applied selectively depending on world view? At the beginning of the trial, once more the brothers must insist on proving that torture was inflicted on them by State Security [investigators] before the judge. Complain [to the court] of mistreatment while in prison. Make arrangements for the brother’s defense with the attorney, whether he was retained by the brother ‘s family or court-appointed. Some brothers may tell and may be lured by the state security investigators to testify against the brothers [i.e. affirmation witness], either by not keeping them together in the same prison during the trials, or by letting them talk to the media. In this case, they have to be treated gently, and should be offered good advice, good treatment, and pray that God may guide them. During the trial, the court has to be notified of any mistreatment of the brothers inside the prison. It is possible to resort to a hunger strike, but it is a tactic that can either succeed or fail. Take advantage of visits to communicate with brothers outside prison and exchange information that may be helpful to them in their work outside prison [according to what occurred during the investigations]. The importance of mastering the art of hiding messages is self evident here. – When the brothers are transported from and to the prison [on their way to the court] they should shout Islamic slogans out loud from inside the prison cars to impress upon the people and their family the need to support Islam. – Inside the prison, the brother should not accept any work that may belittle or demean him or his brothers, such as the cleaning of the prison bathrooms or hallways. – The brothers should create an Islamic program for themselves inside the prison, as well as recreational and educational ones, etc. – The brother in prison should be a role model in selflessness. Brothers should also pay attention to each others needs and should help each other and unite vis a vis the prison officers. – The brothers must take advantage of their presence in prison for obeying and worshiping [God] and memorizing the Qora’an, etc. This is in addition to all guidelines and procedures that were contained in the lesson on interrogation and investigation. Lastly, each of us has to understand that we don’t achieve victory against our enemies through these actions and security procedures. Rather, victory is achieved by obeying Almighty and Glorious God and because of their many sins. Every brother has to be careful so as not to commit sins and everyone of us has to do his best in obeying Almighty God, Who said in his Holy Book: “We will, without doubt. help Our messengers and those who believe (both) in this world’s life and the one Day when the Witnesses will stand forth.” May God guide us. 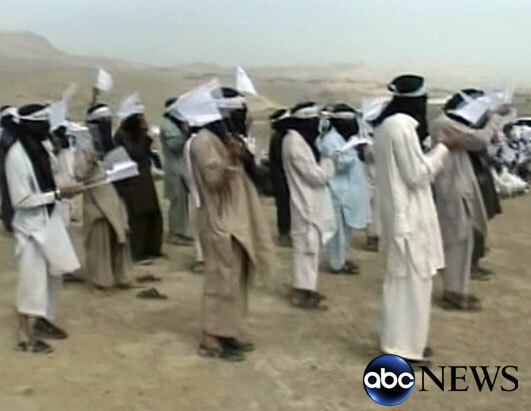 When taken into Afghani custody, did the al Qaeda training take over? Curiously, detainees did not claim torture at the hands of Canadians, but only by Afghani jailers. Detainees are only held by Canadian Forces for at most 96 hours before being handed over to Afghan authorities. Of course, this does not absolve Canada from their duty to protect the human rights of even the most despicable human beings. However, we should be aware that claiming torture is standard operating procedure for those trained by, or in association with al Qaeda. The Globe and Mail’s Graeme Smith has been covering this story all week from Kandahar and details horrible accounts of abuse in this article. I suspect that the truth lies somewhere in the middle: I suspect the claims because the Taliban have been trained to claim such mistreatment while imprisoned. However, the Afghan prison system is one of the last places where I’d want to be incarcerated. The Canadian government is also trying to balance a couple of important objectives here. They must help the Afghani state to stand on its own two feet, and this includes the establishment of a prisons/corrections department of the government. But, they must balance this with being cognizant of human rights. This point brings me back to an earlier thought. While the opposition is coming down on the mission in Afghanistan, showing concern for Taliban detainees, they are driving a wedge through the support of the Canadian electorate for a effort to establish and maintain human rights for millions of Afghanis, including women and children who for many are only experiencing their rights for the first time. We know that the opposition opposes the mission in Afghanistan. However, on the issue of rights I feel that Dion and Layton are throwing the baby out with the bathwater by trying to sink the Conservatives on the issue of detainees. The news is inherently foggy as it deals with accounts from some unsavoury characters. One example has emerged from Smith’s story that I link above. Smith quotes Sadullah Khan, the Kandahar NDS chief and senior administrator of the system where most of the torture is alleged to have taken place. One thing is certain, we do not have all of the details and those that we have are questionable, at best. The Canadian government has its own capacity to investigate and I’m hopeful that they are doing what they can to clarify, and if necessary, remedy the situation. Posted on April 26, 2007 Author Stephen TaylorCategories OtherTags afghan detainees, al qaeda, ctv, graeme smith, omar samad, sadullah khan, taliban, Terrorism, tortureLeave a comment on Taliban tortured? Some context. Held without charge? Some context. The House of Commons is set to vote today on the extension of two provisions of the Anti-Terrorism Act. The ATA was brought in under the Liberals after 9/11 and two specific provisions of the act are being challenged today in the House of Commons by that same party. France can hold terror suspects for 72 hours without access to a lawyer. Terror suspects can be held for up to four years (!) before being tried by a court. Germany can hold terror suspects for 48 hours without seeing a judge. In Greece, terror suspects can be held without charge for up to 12-18 months. Italy can legally hold suspects for 24 hours without access to a lawyer. Norway can hold terror suspects for 48 hours. Spain can hold a terror suspect and prevent access to a lawyer for 72 hours in standard cases and up to 13 days for non-standard ones. In the UK, terror suspects can be held without charge for up to twenty eight days but judicial knowledge of detention must occur within 48 hours. In Canada, terror suspects can be held without charge for 72 hours. Judicial knowledge of detention must also occur within 72 hours. In the US, terror suspects can be held without charge for 6 months. In Australia, the secret service can detain terror suspects for one week without charge. Despite this, Canada is, comparatively, on the softer end of the spectrum when it comes to the detention of terror suspects without charge. Suspects are held without charge in order to further investigations in progress; once a suspect is charged, investigators lose access to the suspect as a resource. Posted on February 27, 2007 Author Stephen TaylorCategories OtherTags amnesty international, anti-terrorism act, john tackaberry, TerrorismLeave a comment on Held without charge? Some context.